The Hasselblad award was presented for the 12 th time on Thursday 27 August 1992. 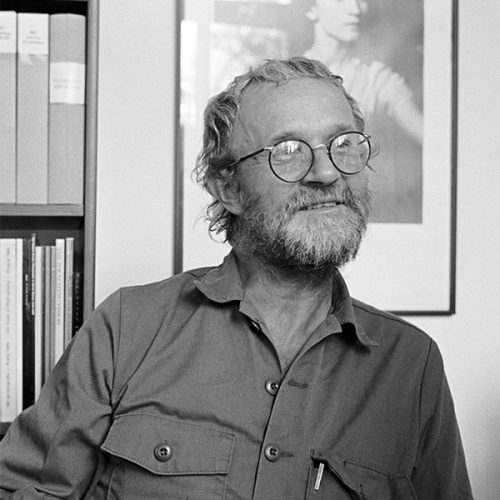 The award winner, Josef Koudelka, Prague, Czech Republic, received the award from Her Royal Highness Princess Désirée, at a ceremony at the auditorium of University of Gothenburg. The award sum was SEK 250,000. In conjunction with the ceremony an exhibit of the award winner’s work, Josef Koudelka – ”Gypsies” – Photographs by the recipient of the Hasselblad prize 1992, opened at the Hasselblad Center, Wernerska Villan, Göteborg. Josef Koudelka is one of the great photographers of our time. During his years of travel, he has described the human condition in many countries in his images, e.g. the everyday life of gypsies, their festivities and their cultural heritage. His photo essays are characterized by strict form and a poetic vision. They also express a strong human commitment and a socio-documentary realism.